I went through a brief gnocchi obsession, so ended up with a big heap of flaked cooked potatoes after two nights of fresh homemade gnocchi. 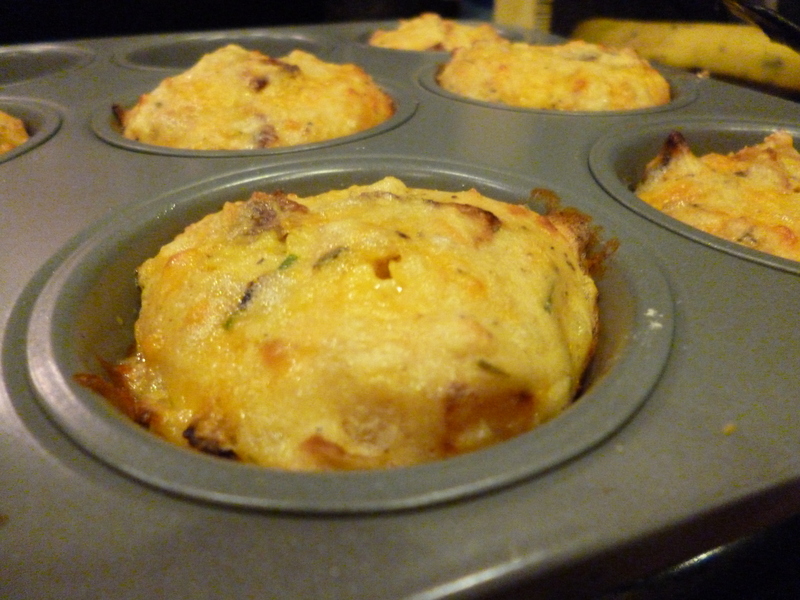 I thought I’d try to make something a little bit more fun rather than just mashed potatoes (I’d already made potato pancakes) so I put together these bacon-cheddar-mashed potato muffins. Aw it’s about to be mashed up, baked in a very hot oven, and devoured. Po’, po’ potato. As usual I just made these just out of the stuff in my pantry. 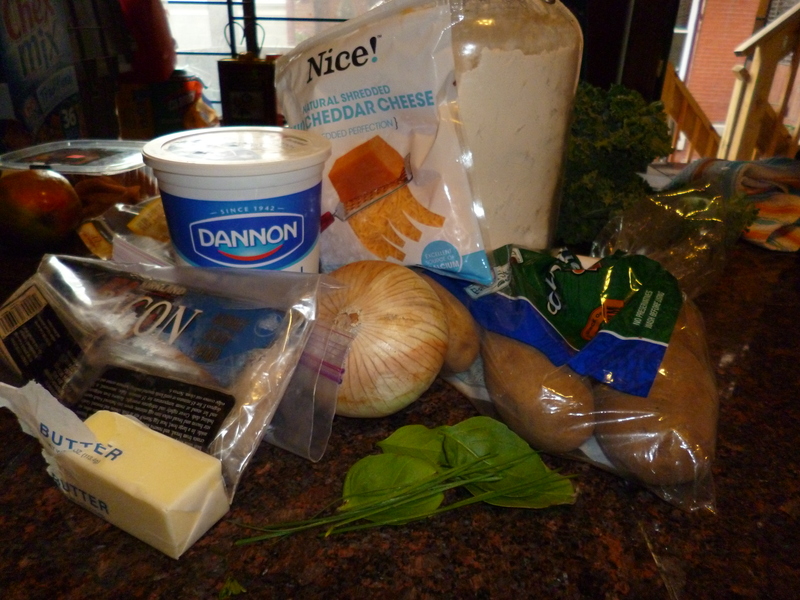 I think most recipes I found suggested sour cream, but I believe in plain yogurt. Also the basil and chives are from my roommate’s herb garden in front of our house! 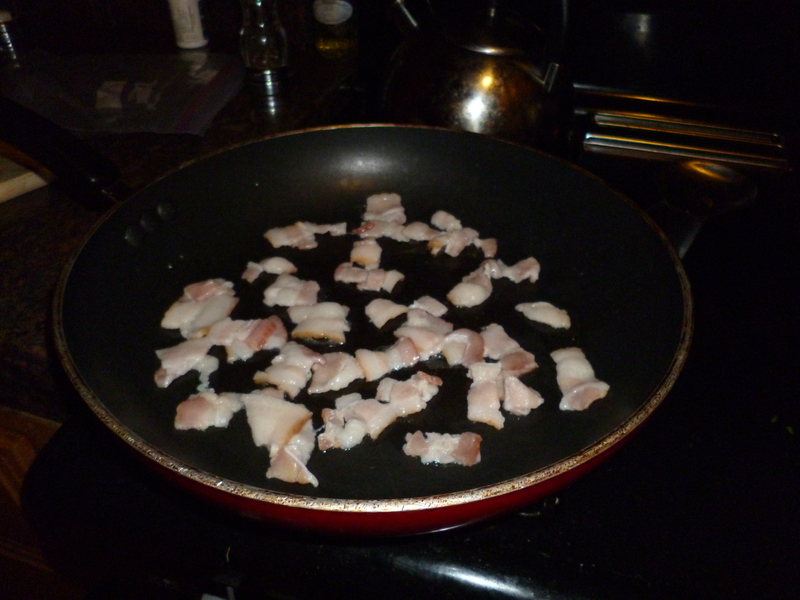 First, chop up your bacon, and then throw it in a pan over medium-high heat. Meanwhile, chop your onion. 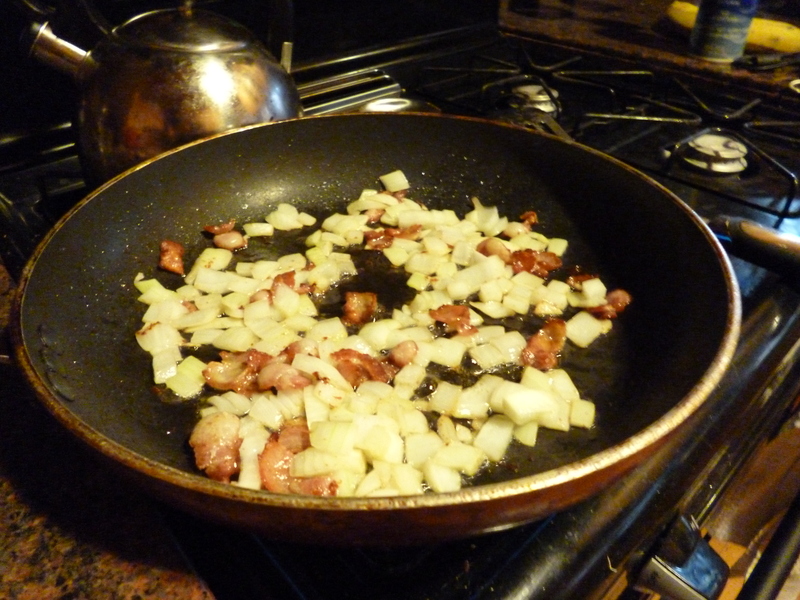 Toss in the onion when the bacon is pretty far on its way (cooked, but not crisp) and give it a shake. 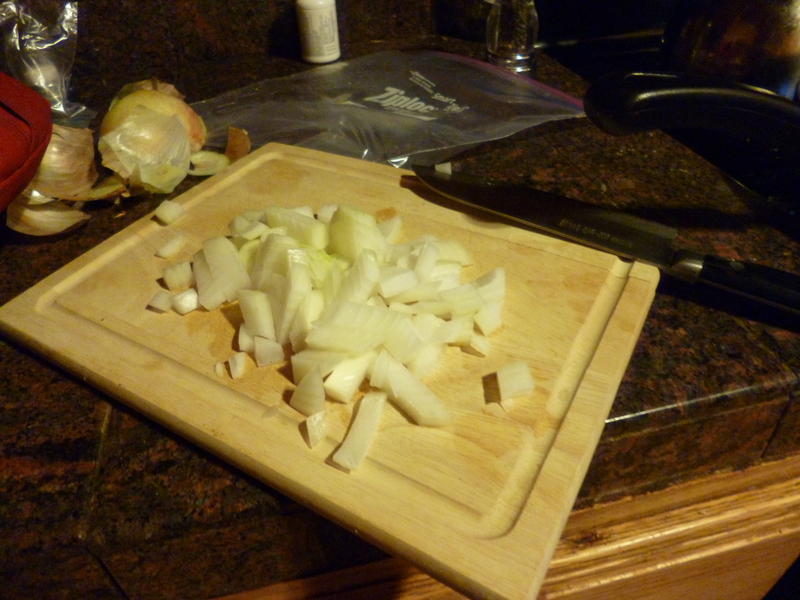 Get that beautifully cooked- get some caramelization in your onions and some crisp in your bacon. Set aside to cool. Now, as we just about always do when baking, we do the wet and dry ingredients. Only potatoes are sort of a cross between the two. Beat your egg with some melted butter, milk and yogurt. I was fresh out of milk so skipped this. You yellow bellied coward, come here and take your yogurt like a man! Or an egg, really. I’m missing some photos, but mix in your herbs and potatoes. I recommend going just crazy on your herbs. Also I forgot to add salt here because I’m silly but you should do that. 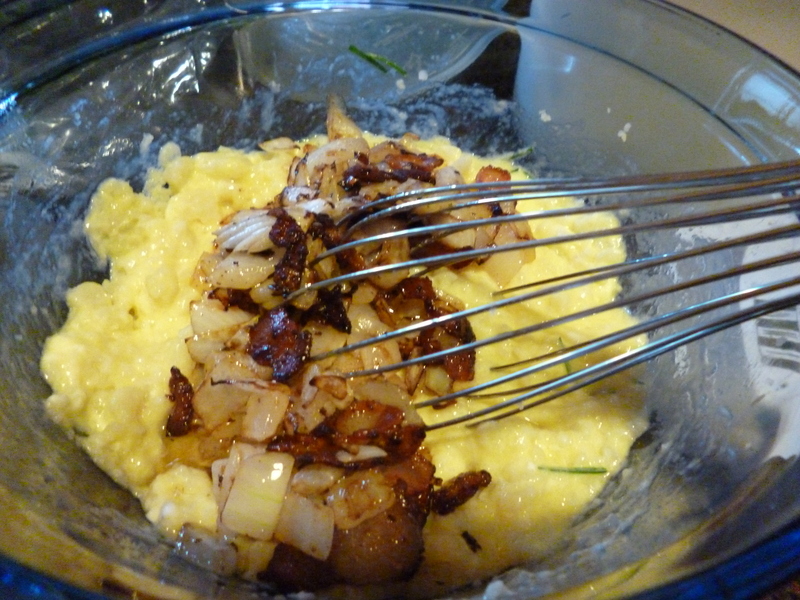 Then mix in your cooled bacon and onion. Shred your cheese and add tons of it. Like much more than you’d expect. Guys I’m such a whiz at adding this stuff. You could call me a cheese whiz. This is when the recipe says to add two cups of flour but I ran out so I only added one cup. It still worked, they were just more mashed potato-y and less muffin-y than expected. The big problem with mine was the lack of salt. Salt is key. If I ate all of these I would be totally incupacitated. Bake until lightly browned! Yum! Cook bacon until cooked, then add onion and cook until brown and bacon is crisp. Set aside. 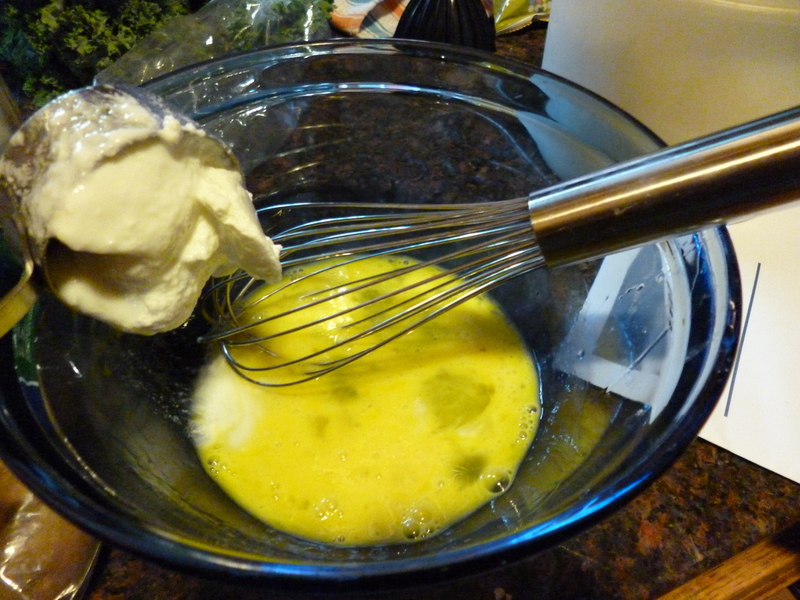 Mix yogurt, melted butter, eggs, salt, and herbs. Also if you want to use more flour and have it be more muffin-y, add 3/4 c milk here. Add in potatoes, mix well. 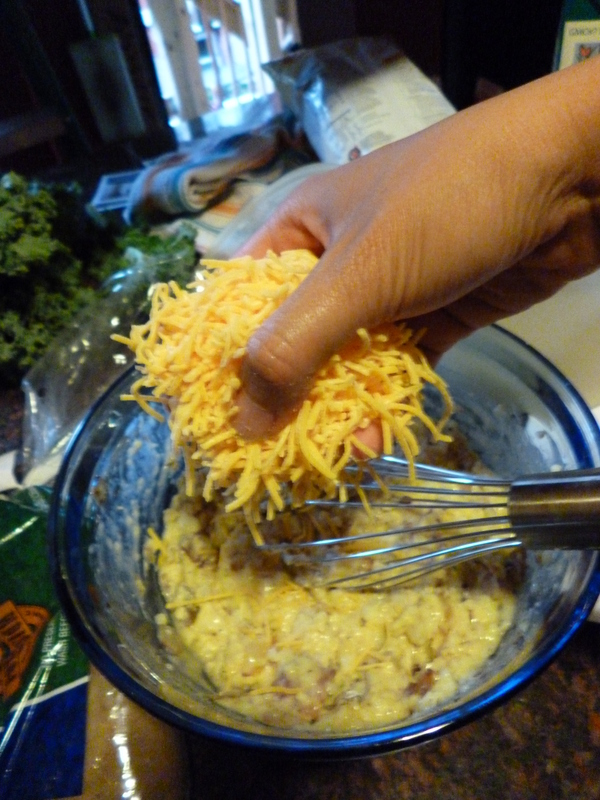 Add bacon-onion and grated cheese, keep on mixing. Add flour and stir just until combined. If you don’t have self-rising flour and want it to be more muffin-y, sift in 1 tsp each baking powder and baking soda. If you used milk, add an extra cup of flour. 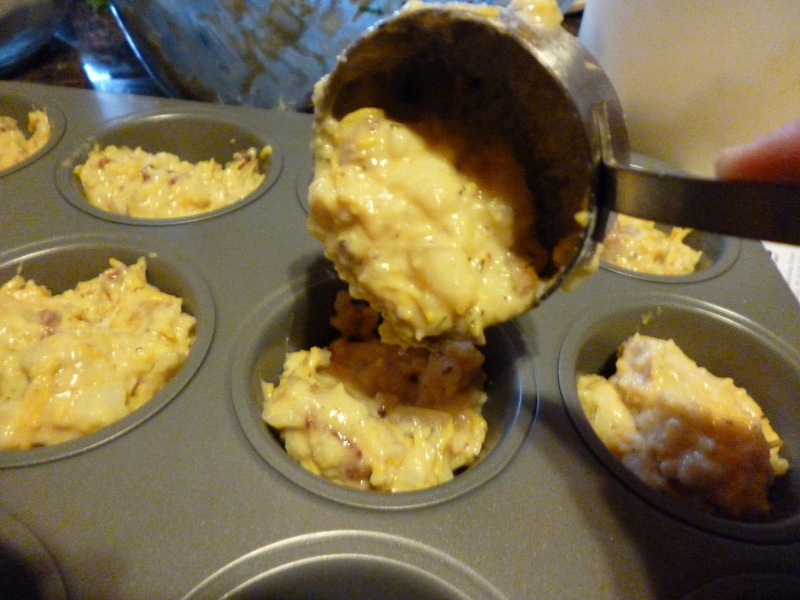 Bake in muffin tins at 350 for 30 minutes or until set. What is geometric group theory?